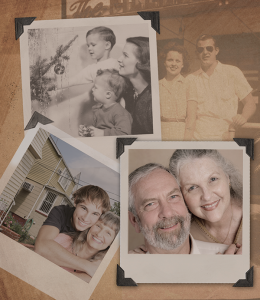 Whether your loved one is a parent, spouse or sibling … whether you live around the corner, in the next town, or a thousand miles away … dealing with an aging family member can create anxiety, guilt, fear and many other feelings. 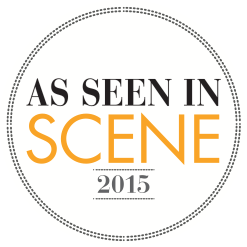 The experienced, supportive and knowledgeable staff at Life Planning Law Firm, P.A. realize that most people are caught up in today’s hectic pace of living and cannot spend endless hours researching answers to the questions surrounding care for an aging loved one. Our job at Life Planning Law Firm, P.A. is to provide the answers you need, relieve any uncomfortable feelings, and ultimately offer peace of mind. To ensure the success of your LIFE CARE PLAN, we must bring together the entire family to better understand where your loved one is within the “Continuum of Care” analysis. We then help you make the determination that is at the very heart of LIFE CARE PLANNING: Should your family member age at home with assistance or is it time to find an appropriate alternative residence, and if so, what steps need to be taken to accomplish those goals? Life Planning Law Firm, P.A. 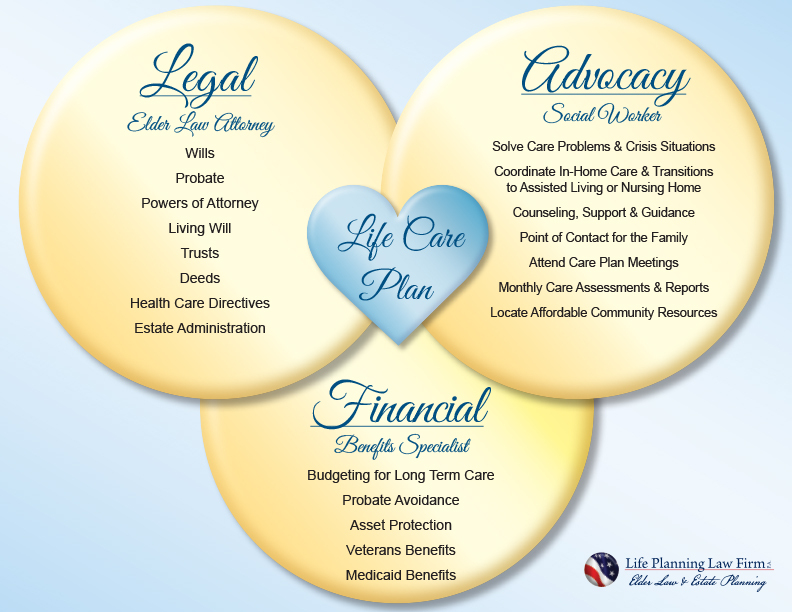 works with you to design a customized legal plan that serves as a road map to help you meet the inevitable challenges of caring for an aging family member, while taking into consideration the legal needs of all other family members involved. Our Elder Care Coordinator assesses your situation, researches possible solutions and answers your questions about the type, amount and quality of care that is necessary. Then we explore all available sources of financial help. At Life Planning Law Firm, P.A. your LIFE CARE PLAN is customized to fit your family’s specific needs and desires. It includes all necessary legal documents, consultations and other services, providing you with peace of mind today, tomorrow and for a lifetime. The elderly or disabled loved one gets the right care sooner, as much independence as possible for as long as possible, and the ability to age with dignity. Families get help finding the right care and services, guidance with legal, health care and long-term care decisions as the elder’s condition progresses, and security because the spouse and dependents are provided for. Whether you live across the street or across the country, a Life Care Plan offers welcome reassurance that your loved one will enjoy the best possible quality of life until the end of life. What would you do if you discovered that the nursing home wasn’t bathing your elderly parent on a regular basis? What would you do if you discovered other lapses in care or outright neglect? Many families are terrified that something bad will happen to their loved ones in the nursing home and if it does, they won’t know what to do about it. With a Life Care Plan, you can relax and let us be your advocate for high quality care. No matter what your challenge, the experts at Life Planning Law Firm, P.A. work on your behalf to resolve care issues, manage transitions to more appropriate care and stand up for you when you need it. We stay by your side working to protect the interests of your loved one for the rest of his or her life.